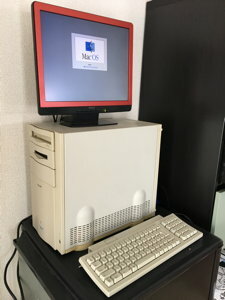 The PowerMac 8500 was the first addition to my retro mac stable. 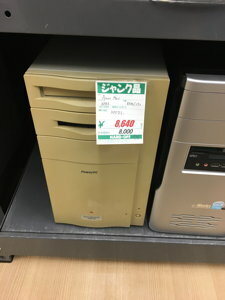 I was browsing HARD OFF one Friday, and among the usual piles of old NEC PCs, I spotted... a beige Mac! First time seeing such a treasure here! I had to have it... It would't fit in my bike basket so went to pick up a carsharing car and brought it home. 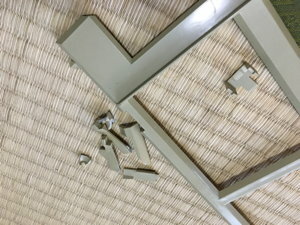 It was quite yellowed (partially due to tobacco), and the plastics were very brittle. Just opening it the first time it snapped off the plastic motherboard guard, taking a surface-mount capacitor off with it that I had to resolder. The PRAM battery was stone-dead, so I ordered a replacement of that online. No leakage though! 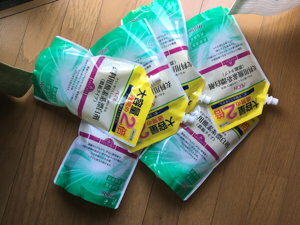 I did some research online, and none of the usual suspects containing the essential chemicals for retrobriting were available in Japan, but instead I found out that a common detergent additive had it. The concentration was low, but my supermarket had a generic version that was dirt-cheap. 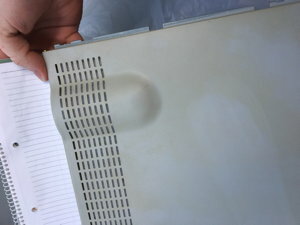 So my first step was taking all the visible parts off, cleaning them thorougly with alcohol (ewww all that tobacco), and then left them in a retrobrite bath on the balconey for a couple of hours. 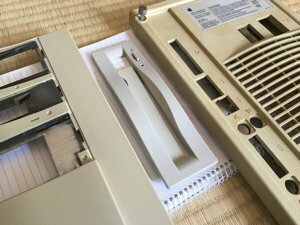 There was a massive difference, but the plastics still aren't as white as the metal parts of the machine, so I want to give it a second go at some point. It didn't come with a harddisk, OS CD or boot floppy, so I had to get some kind of boot medium. 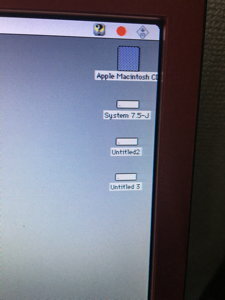 I found an original System 7.5.3 boot CD for this model on Yahoo! Auctions and it was soon in my possesion. 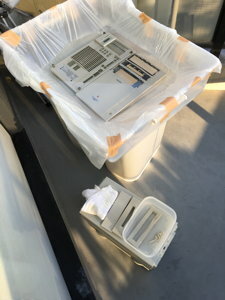 It boots! 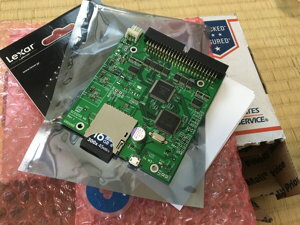 The next step is, what do I install onto? SCSI harddisks cost a fortune and will probably die soon anyway. 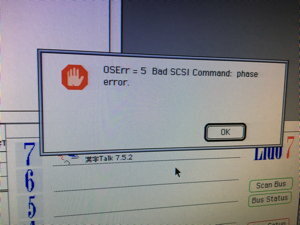 Luckily, there is a solution, the SCSI2SD. 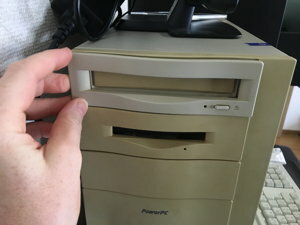 You pop an SD card in it, and it turns it into a SCSI drive. 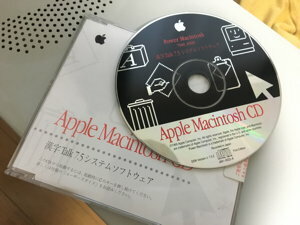 A lifesaver for old Macs. Unfortunately, I never got it working well with the 8500. To begin with, it just wouldn't format. I tried a ton of different utilities and SCSI2SD configurations. I was in contact with the developer, and he got me a custom firmware. 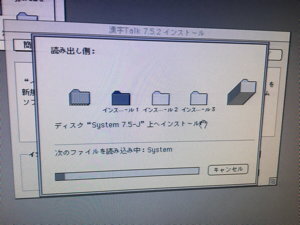 This custom firmware got me further - I could now format the drive and run System 7.5.3! 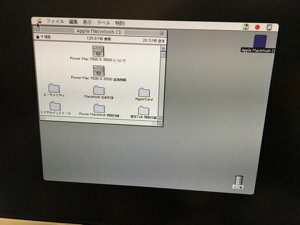 But installing OS 9, it would freeze on boot (solid SCSI activity light). 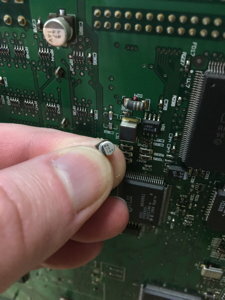 I was going to debug it more when I slipped and shorted some pins on the bottom of it to the case of the 8500, killing both the SCSI2SD and the Mac!